Looking for the best guidelines on how to get rid of shin splints? Sure, shin splints are not an instantly debilitating injury. Nonetheless, ignore the symptoms, and soon you’ll find yourself dealing with an injury that could bring your training to a screeching halt. If you’ve ever felt pain either on the front or in the back of your shin bone, then you’re already familiar with the condition. Shin splints are one of the most widespread running injuries, counting for 20 percent of all running ailments. That’s why it’s one of the most frustrating problems for many runners, beginners and advanced alike. So, don’t feel alone if you’re experiencing (or have experienced) such pain during your running career. Therefore, since shin splints can drastically limit your training, today I’m sharing with you a few ways for preventing this condition. By putting into practice some of the preventative measures below, you’ll drastically reduce the risks of onset. But before I delve into that, let’s first go through an overview of the medical definition, symptoms, and treatment of shin splints. According to conventional wisdom, shin splints refer to what’s medically known as medial tibial stress syndrome, or MTSS for short. In essence, this refers to pain or tenderness felt along the front of the tibia—commonly known as the shin bone. See picture. Located in the lower front portion of the leg, the tibia connects to the bone tissue, tendons, and muscles. It helps you move around, stabilizes the ankle, and provides support to the muscles of the lower leg. Shin splints can also involve inflammation of the tibial periosteum, which is the thin sheath of tissue that wraps around the shin bone. Despite the scientific advancement in athletic injury research, no consensus is found among sports scientists regarding what’s causing shin splints. But, in general, this condition is believed to be caused by repetitive overuse or strain of the muscles that run next to the bone of the lower leg. When you overwork the bone tissue, tendons, and muscles surrounding your tibia, pain follows. In general, shin pain can be brought by swollen and irritated tibial muscles, typically from overuse. Common among flat footed runners. Running with bad form/mechanics, especially overstriding. Running on unstable terrains, such as hard pavement or rocky hills. Too much running on hard surfaces, such as sidewalks and pavements. Just keep in mind that it’s not running per se that causes the condition, though, it’s the repeated shock of impact over time that does it. The repeated strain fatigues the muscles of the lower legs, which, in turn, hinders their ability to absorb the impact forces of a foot strike. Shin splints start out as a mild muscle ache or tenderness in the inside lower part of the shin bone. Left unchecked, the tenderness slowly progresses into a stabbing pain and increased swelling, making running impossible. Typically, shin splints may only afflict one leg, usually the dominant one, although some runners can experience pain –at varying degrees—in both legs at the same time. It depends, after all, on the individual case. To check yourself for the condition, squeeze the lower two-thirds of your lower leg, including the shin bone and the surrounding muscular structure. If you feel any pain or bumps and lumps all along the bone, you’re positive. In extreme cases, shin splints can become so bad that’s impossible to even stand or walk on the injured limb without experiencing excruciating pain. Most cases of shin splints heal on their own or can be treated with simple self-care measures. Nonetheless, serious ones may require a medical intervention from a certified physician. Apply the P.R.I.C.E. Method, which consists of protecting, resting, compressing, and elevating the injured limb. This reduces inflammation and speeds up recovery. Protect. Protect the injured limb using a shin splint sleeve or compression supports. This can help provide support to the affected tissues, keeping them warm and supple. Rest. Stop running altogether for a period of time to allow for full healing to take place. 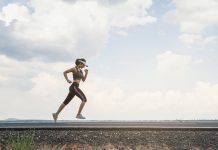 In general, and depending on the severity of the injury, expect to take two to six weeks of rest, but that does not mean you have to stop training altogether. Instead, cross train. Some of the best activities include aqua jogging, spinning, swimming, yoga, and low impact resistance training. Here is the full guide to cross-training for runners. Ice it. Although this is by no means a permanent fix to the underlying issues, applying ice on the injured limb for 15 minutes a few times a day can help reduce pain and swelling. The most convenient way to do this is via a special ice pack like this one. For the full guide to treating overuse running injuries, check my guide here. Once you’re familiar with the main culprits responsible for shin splints, apply some of the following strategies to reduce injury recurrence. After all, an ounce of prevention is better than a ton of cure, as the saying goes. The first rule when it comes to preventing all sorts of sports injuries is to avoid the “three too’s” trap—doing too much, too soon, too fast. Sudden increases in training volume/distance/intensity can overwork your lower legs, making you more prone to a host of injuries. So, instead of falling into this classic trap, increase your distance and speed gradually and slowly over time. For the complete beginner, start with the walk/run method. This consists of 20 to 30 minutes of alternating between jogging and walking every other day. For the full guide on this method, check my post here. But what if you’re already a regular runner? Then stick with the 10 percent rule. That’s the golden principle to abide by whenever you’re looking to increase training duration and intensity. And it’s quite simple. The 10 percent rule states that you should never increase your weekly training load by more than 10 percent from one week to the next. When your lower leg muscles, especially your tibial muscles, are overworked, they start moving beyond their natural range of motion, pulling on the tibia bone, thus, resulting in pain along the lower leg. In other words, the shins pick up the slack for weak surrounding muscles. For that reason, strengthening the muscles of your lower leg may help prevent this common injury by making your lower leg muscles stronger, increasing their ability to handle impact. As a result, be sure to strengthen your feet, ankles, calves, and hips, which support your shins. The following exercises are exactly what you need. Not only will they help you prevent future flare-ups but are also effective at relieving pain if you’re already afflicted. You can perform the following exercises as either a part of your warm-up sequence or as a routine in itself two to three times per week. Perform 12 to 15 repetitions of each exercise in sets of two to three. Although the science is still hazy on the effectiveness of stretching for preventing injury, I’d still recommend it as a part of a proactive injury prevention protocol. According to theory, stretching the posterior leg muscles (especially the calves) along and the muscles surrounding the shin bone (especially the anterior tibialis) may be effective at keeping shin pain at bay. Trace the alphabets with your toes. Improper running form is often blamed for shin splints, as previously stated. Bad form can disrupt your kinetic chain, triggering biomechanical dysfunctions that may cause symptoms to recur even if your resume running slowly and gradually. The good news is proper form is not quantum physics. In fact, it can be easily learned. The first thing you need to do is to avoid heel striking—or landing heels first when running. According to theory, the heel strike places excessive stress on the lower leg. Heel striking causes the foot to slap down on the pavement, forcing the lower leg muscles to work harder than usual. This may place excessive stress on the lower legs, increasing the risks of shin splints and other running-related injuries. Also, heel striking often leads to overstriding. This may increase injury risk and reduce running efficiency. Here is an awesome YouTube tutorial explaining the difference between heel striking and midfoot running. If you have a terrible history of the shin splints, then consider slightly shortening your normal stride—roughly 10 percent. 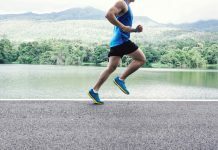 Research has revealed that subjects who shorten their stride by 10 percent were able to reduce the risks of tibial stress injury by three to six percent. By shortening your stride, you’ll be landing softer with each foot strike, thus, experience reduced impact. So, invest at least a couple of weeks purposely running with a relatively short stride. Last up, improve your cadence, which is the number of steps you take per minute. It’s also known as leg turnover. To determine your cadence, count your foot strikes on one side for one minute, then multiply that by two. A good number is 170 to 180 strikes per minute—depending, of course, on your biomechanics and training speed/intensity. For the full guide on cadence, check my post here. Training in ill-fitting or worn-out shoes are a leading cause of injury. A good running shoe can help reduce the running-related high impact stresses whereas a worn-out or ill-fitting pair can’t. As a result, opt for stable, supportive footwear that suits your individual needs. Rather than buying your shoes online or at a sporting goods store, head to a running specialty store. The expert staff there will assess your unique biomechanical and gait type, then make the most appropriate recommendations. Also, replace your sneakers every 400 to 500 miles—or, at least, every year if you do not log serious miles every week. According to research, compression garments may help limit inflammation and swelling around damaged muscles, tissues, or bone. Not only that, but research has also found that it reduces muscles damage and may speed up recovery following a hard workout. For these reasons, compression gear, especially compression socks, might be effective in treating and preventing shin pain. Of course, no conclusive research has proved that compression socks are effective at preventing shin splints. But I believe it’s something worth considering—especially if you don’t mind investing in a $50 to $70 per pair. Just get the right compression socks. Make sure they fit well, giving your calves a good tight squeeze but also promoting blood flow to the region and not feeling too constrictive. Also, get a pair with the right amount of compression provided per sock. According to research, shooting for 20 to 24 mmGh at the ankle is ideal. Plus, make sure they are made with technical, high-performance fabrics that’s breathable and looks good. Foam rolling is one the simplest, yet effective ways of dealing with shin pain (and other overuse injuries), according to many experts. In essence, foam rolling is a form of self-myofascial release or self-massage that removes adhesions in the muscles and connective tissue. Left unchecked, these adhesions can create points of weakness in the tissue, leading to susceptibility to pain and injury. And you don’t want that. Further, foam rolling also reduces muscle tension, promotes blood circulation, and increases mobility—all of which are key to faster recovery and injury prevention. Of course, foam rolling might feel tight or painful at first, but this is a good sign. Be sure to roll your shins and calves 30 to 60 seconds, then take breaks of the equal time period. Repeat the process four to five times, at least five times per week. Another possible way to get rid of shin splints is acupuncture. Based on the principles of traditional Chinese medicine, acupuncture involves sticking thin needles into particular energy points, releasing a variety of substances, including serotonin, endorphins, etc. This can help alleviate pain and inflammation. Research published in the Journal of Chinese Medicine revealed that acupuncture could be quite effective in treating symptoms associated with shin splints, especially during early stages of onset. In fact, the researchers found that acupuncture treatment—twice weekly for a duration of three weeks—is more effective at treating shin splints than physiotherapy and the use of anti-inflammatories when treating this condition. As I have stated, the leading cause of shin splints—and most overuse running injuries for that matter—is overuse. Skipping on recovery time can result in musculoskeletal issues, which, in turn, can become very painful and take much longer to heal properly. As a result, sometimes the best course of action to take in the presence of shin splints is to stop running altogether. Just don’t get me wrong. This does not mean giving up all physical exercise altogether either. In fact, just because you’re dealing with shin splints do not mean that your exercise routine has to come to a sudden halt. Instead, do plenty of cross-training exercises, opting for activities that do not put excessive stress on the injured limb, such as cycling, swimming, etc. Then, once your symptoms subside—likely in a matter of a couple of weeks— slowly reintroduce running into your training program. Just make sure to listen to your body the entire time, paying attention to any signs of pain or tenderness both during and after training. In case the above measures proved futile in your quest to get rid of shin splints, then you SHOULD seek the help of a professional health provider. 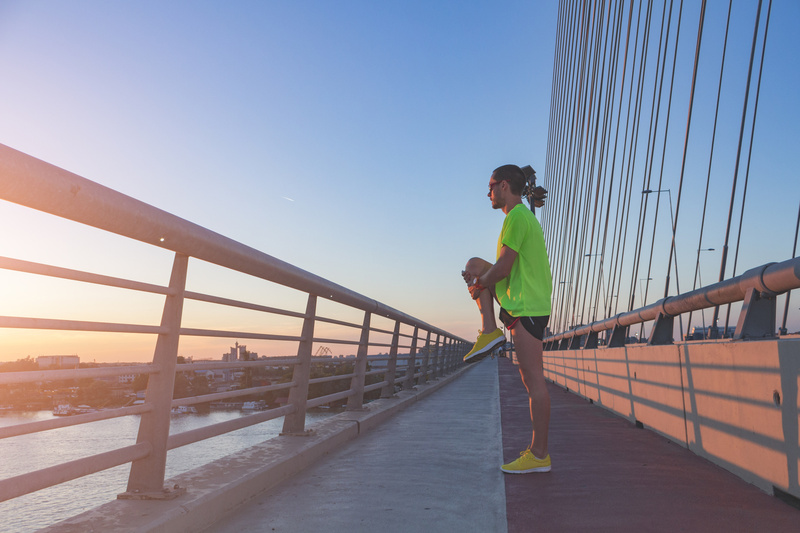 As previously stated, biomechanics can contribute to shin splints, whether you’ve severe muscle imbalances, tend to overstride, or have poor posture. These are not the kind of issues you can solve on your own, especially if you don’t know what type of underlying issues you’re dealing with in the first place. Hence, you require outside help—not from a blog or a magazine article—but from a real certified professional. I recommend visiting a podiatrist or physical therapist with experience helping out runners. They should assess your running form and biomechanics and see if it’s all possible to single out what might be contributing or causing your pain. Then, once a clear conclusion is reached, prescribe specific drills, stretches, and strengthening exercises to help fix the underlying issue(s). You can also experiment with treating your shin pain with electrotherapy methods, such as electronic muscle stimulation, therapeutic ultrasound, or microcurrent. In addition, consider taping the injured limb with medical-grade tape. Research has shown that it can decrease swelling and increase the range of motion as well as provide support for the muscles of the lower leg. If you get anything from today’s article is that you should never let shin splints sideline you from reaching your running goals. Even if you have a bad history of the condition, you are not hopeless. As long as you are always proactive about protecting yourself from overuse injuries, you’re in the right place. Yes, as severe and painful as shin splints might be, you can get rid of them provided you take the right precautions and are patient enough.